The award is for the co-development of the microK recognising both the innovation and commercial success of this world beating thermometry bridge. The microK family of precision thermometry bridges use a completely new measurement technique to achieve accuracies to better than 0.02 parts per million, outperforming older AC bridges. First introduced in 2006, the microK has proven use at the worlds leading National Measurement Institutes and many commercial laboratories. John Tavener, Isotech founder and President, says "We are delighted that Her Majesty the Queen has approved the Prime Minister's recommendation that Isotech should receive a Queen's Award for Enterprise in the Innovation category this year... i recognise that the existing instruments used old technology and relied on obsolete components; cooperating with Metrosol Ltd we developed this new device, with better performance and lower cost tan the older designs. Winning a Queen's Award for Enterprise; the highest honour that can be bestowed on a UK company is a real cause for celebration for everyone at Isotech"
The Queen's Award for Enterprise is awarded to businesses for outstanding achievenment in four categories: International trade, innovation, sustainable development and also for promoting opportunity. The award looks not only at innovation and commercial success but also at the company and its role within the local community, environmental impact and the quality of its relationships with suppliers, partners, employees and customers. 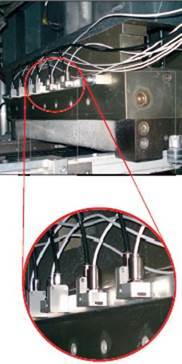 The process and production temperature is an important physical measurement parameter for many process techniques used in the plastics industry. Non-contact temperature measurement with an infrared sensor system is thereby a very effective method for process monitoring and control. It supports companies to achieve high quality levels within their production. Within the plastic industry, the production and testing of products is subject to numerous thermal processes. Infrared thermometers or pyrometers are used for single point temperature measurement if the critical point is known within the process. Infrared cameras are securely established to reveal weak points, especially the compact and fast optris PI thermal imager. Infrared cameras help to visualise thermal procedures and therefore optimise and monitor processes. Plastic processors are producing a great number of plastic products with different dimensions, thickness, texture, colours and embossing pattern in a roll or tabular. Depending on the framework conditions, infrared thermometers and infrared cameras can be used in different kinds to improve and secure the processes purposefully. An important application for infrared temperature sensors is the fitting of pyrometers in thermoforming and packing machines. During the thermoforming process, the original material is being heated up to 190°C with infrared emitters and thermally homogenised. A high homogeneity over the surface and a specific set up of the converting temperature leads to higher quality results during reforming. A defined cooldown in the cooling range closes the process. To achive a steady product quality of the material and avoid local combustion and crack formation, the optris PI infrared camera is used to regulate the temperature regime during the run into the machine. Pyrometers are then regulating the temperature via selected measurement points. At a customer of Optris, the infrared thermometer optris CT LT have been setup in one line at the heating zone exit to monitor the temperature profile and visualize temperature gradients. This allows the machine operator to continuously monitor a complete temperature profile covering all used product lots. During this application, plastic bulk is being extruded with wide slot extruders into a strap and than calandered to the wanted gauge by cooled and heated calender rolls.The surface (texture) is brought in via the embossing calender. The original material is heated up to 190°C with a basic temperature within an infrared radiator and homogenised. The material is then transported to the heated embossing calender where it receives a product specific structure. A defined cool down in the cooling range closes the process. A constant and consistent temperature profile with variances below 5K over the range will be necessary during the embossing process, to obtain a constant thickness, homogenous graduation and the depth of the structure. To monitor the temperature profile during embossing processes, some processors use up to 16 pyrometers optris CT LT measuring in single points which are installed across the moving direction. The temperature measurement merits are visualised at the Siemens PLC (S7). Therefore, it is possible to use the temperature merits for process monitoring and lodge the important process parameter according to the lots into the PLC. During the production of injection moulding parts, dimensional stability is of importance. During the injection moulding process the plastic melting is injected with pressure into the temperated tool. The outer skin of the produced component is already set when it is separated. It stabilises the component, as the middle of the component is mostly still liquid and the saved heat slowly gets to the outside. If too much heat is saved in the component during separation, distortion can take place. The result: The dimensions do not fit any longer. The optris PI thermal imager contributes to the optimisation of the tool temperature via the heating and cooling systems. A 120 Hz online monitoring can detect the maximum component temperature after separation. Reaction to temperature changes can therefore take place. The closing time needs to be raised if the temperature is above the specifications; if the temperature is below the specifications, the closing time needs to be shortened. Until now, only samples of the temperature were taken and longer closing times set up precautionally - a huge waste of capacities. The optris PI infrared camera comes in handy for the production of injection moulding parts. The camera monitors the temperature of the production without disruption and without contacting the parts. The productivity increases as more components can be produced at the same time. Again, Optris GmbH introduces a new infrared camera for the glass industry at the glasstec 2016. 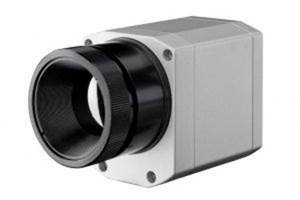 With its 7.9 µm filter, the thermal imager optris PI 640 G7 is perfectly suited for the measurement of glass and, due to the VGA resolution, offers an even wider range of possible fields of application. “The software optris PI Connect enables the use as a line scan camera, which is essential for the temperature control of glass ribbons and glass panes” declared Torsten Czech, Head of Product Management at Optris. 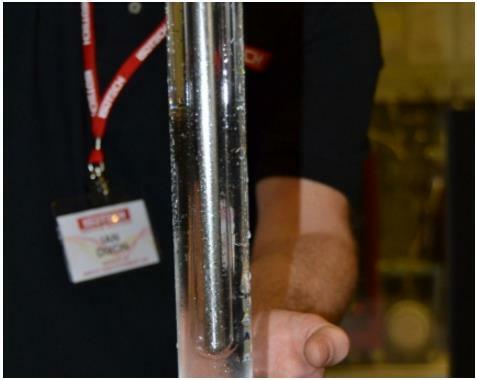 Temperature monitoring is crucial in the glass industry and it is an integral part of almost all stages of the production process. In confined and hot surroundings, temperature can sometimes only be determined by room sensors. The compact infrared thermometers and cameras of Optris enable the operation even in confined spaces with high temperatures. The thermal camera monitors the temperature distribution in cooling processes of flat glass production as well as in the production of container glass. For the accurate measurement of temperatures, emissivity is a key factor. Glass usually exhibits an emissivity of 0.85 µm in the longwave range. In processes with higher temperatures, it is measured with 5.0 µm or 7.9 µm because in those spectral ranges the emissivity is ≥0.95. The main advantage of 7.9 µm is the lower angel dependency of the emissivity. 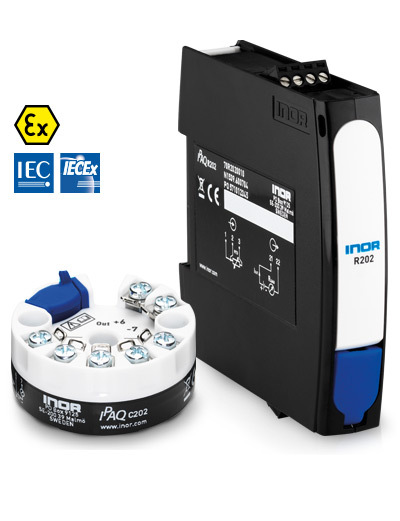 IPAQ 330 is available with IECEx certificates, making it a safe choice for a wide range of applications. Water triple point cells are relatively low cost - within the reach of the laboratories and ideal for checking laboratory standard thermometers additional to the calibration of SPRTs. With uncertainties less than 0.001°C water cells are avilable in a range of sizes, some fit into Dry Blocks, large cells are used by the world's leading National Metrology Institutes in dedicated apparatus. 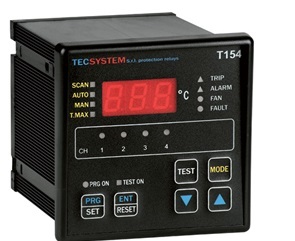 TECSystem introduces the new temperature monitoring unit for cast resin and dry type transformers; Model T1048. The new unit is a technical evolution of the T2612 and now has available Ethernet connection communications. improved components for supressing surge to the PT 100 inputs improving the performance of the units in high electrical noise applications. Intellifan function to reduce the thermal shock on the transformer. The NEW Optris CT P3 miniaturised infrared pyrometer with programmable electronic box, with a spectral range of 3.43 μm, has been designed specifically for the non-contact temperature measurement of thin plastic film materials (with a thickness of less than 1 mm) such as Polyethylene, Polypropylene and Polystyrene in the range 50°C to 400°C. It is both robust and usable in up to 75°C ambient temperature without cooling, and comes with good process integration options. 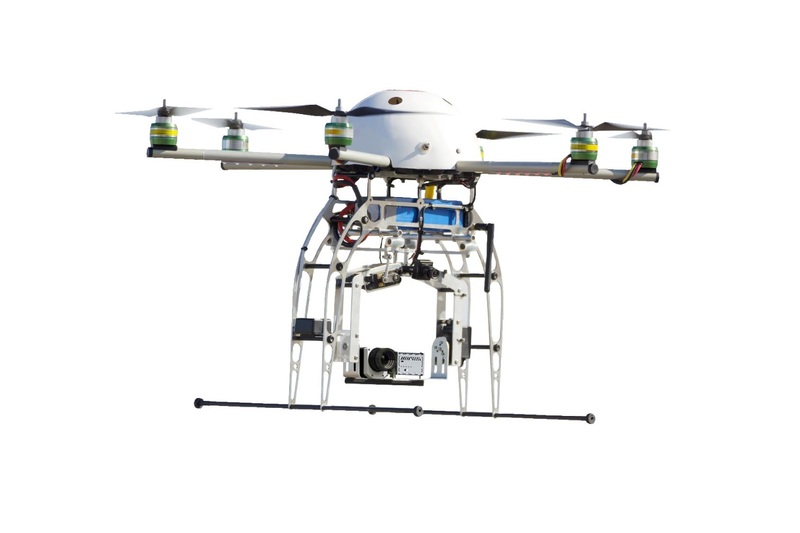 Infrared images and videos from the air - recorded by drones, UAVs and other flying objects - are becoming increasingly important in industrial maintenance. In some cases, the cost savings compared to existing applications are enormous. The relaunched optris PI LightWeight, a kit consisting of a weight-reduced infrared camera and an equally light mini PC now ensures even better flight thermography. When asked about the enhancement, Torsten Czech, engineer and Product Marketing Manager at Optris, declared that “customer requirements and the latest technological developments have helped shape the second PI LightWeight generation”. The optris PI LightWeight is still the only system on the market which produces fully radiometric video recordings. The recordings can be started and stopped via remote control and subsequently edited. The system has a special interface for visual GoPro cameras. USB GPS modules are also supported and the geographical coordinates saved in each single image. The infrared camera and the mini PC have a total weight of only 380 grams. The new PI LightWeight can be fitted with the camera models optris PI 450 (382 x 288 px) or the VGA camera optris PI 640 (640 x 480 px). Video recordings of up to 80 Hz in QVGA resolution and up to 125 Hz in VGA sub-frame mode (640 x 120 px) are possible. The unlicensed analysis software PI Connect can be used to extract and analyse sharp single images from the video data. The cameras are powered via USB from the mini PC and have a spectral range of 7.5 to 13 µm. 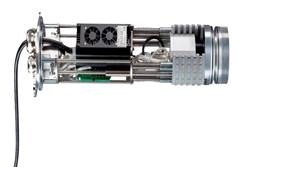 In addition, four different optics can be selected for each model, depending on requirements. Ten minutes on Google yields a range of answers – from “regularly if not daily” to “annually” to “after being dropped”. If the thermometer has a calibration certificate from a laboratory accredited to ISO 17025 then it is unlikely to show a recalibration date – this is because the issuing laboratory will not want to imply specific time validity or be seen to “guarantee” the performance over a certain time period. It is for the user to determine re-calibration schedules based on the application and how a thermometer is used. Some people may be happy to make measurements with a view to determine the temperature to a few degrees and even if there was some unexpected result the consequences may be trivial. Yet for other people making a temperature measurement with only a small error might be disastrous – perhaps compromising product quality, energy savings or even human life. Many people will determine an annual calibration period – and use an accredited laboratory to ensure “best practise”. As an example, Joseph works in the food sector; he uses a thermometer to comply with the Food Safety (Temperature Control) Regulations 1995 and he adjusts and keeps a daily log of many large refrigerators to ensure the food is stored at or below 8°C. He has the thermometer calibrated every year; one year the calibration laboratory calls to say when recalibrating the thermometer it has shifted by a 5°C; there must be some damage to the thermometer or fault with its display. Joesph now has a dilemma – his logs show the food has been stored at 5°C but with this shift it has actually been at 10°C. An offence has been committed; the food has been kept at a temperature which could cause a risk to health – and his company’s future. Joesph doesn’t know if the problem started the day before he sent the thermometer away - or six months ago, or a year ago when it came back from calibration. The dilemma could have been easily avoided, by checking regularly in a flask of melting ice, by having a second thermometer and doing cross checks or investing in simple temperature calibration equipment. An annual calibration was not sufficient in itself. Sensors at high temperatures and sensors regularly being cycled over a wide range are particularly prone to drift and will need to be checked at more than one point. Isotech produce portable calibrators covering temperature ranges from -100°C to 1200°C along with high accuracy thermometers and instruments. 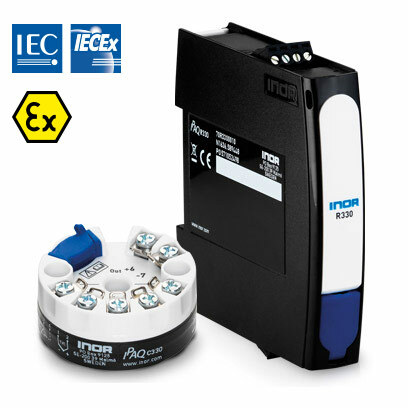 The IPAQ C202 has IECEx certificate conformity making it suitable for a wide range of applications in Exi a Hazardous Areas. Visit the product pages for additional information or contact sales@temperature.com.au if you have any questions. Offering improved battery life and enclosure protection the FTR264 is a 4 channel wireless transmitter for thermocouples and is for close range receivers, which are located less than 100m away from the transmitter. The internal circuit board antenna is designed to provide radio coverage area of up to 100 mtrs outdoors, and indoors the coverage area is shorter depending upon wall structure. 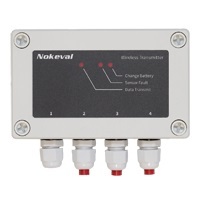 This 4 channel transmitter is matched to a suitable data receiver available in a field mount or DIN Rail mount enclosure. The receiver can be connected to a PC network using RS 485, RS 232 or USB connection. Temperature Controls have released the new range of IECEx Certified Ex d and Ex tD temperature sensors with 316 stainless steel enclosure. The new stainless steel enclosure in addition to the IECEx certified epoxy coated aluminium terminal head temperature sensors Temperature Controls have been supplying to Australian industry since 2006. 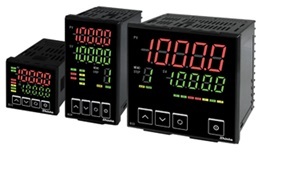 The range includes RTD and Thermocouples complete with an IP66 enclosure or a sensor suitable for use with an IECEx approved 4 – 20 mA transmitter. Features include sensors that can be used without a thermowell. 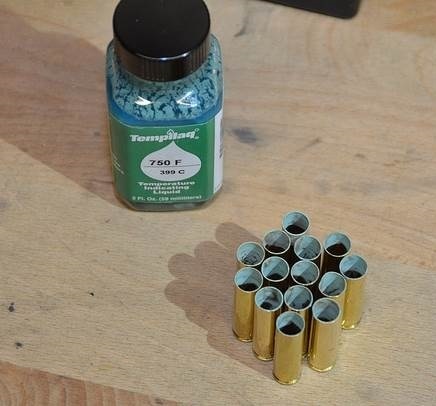 Applications include annealing used brass ammunition cases with Tempilaq applied to the inside of the case to avoid contact with direct flame.Temperature Controls stock Tempilaq in popular temperature ranges for annealing brass cases. 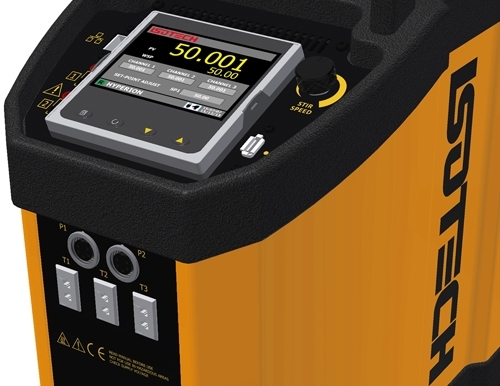 Isotech have a new range of Dry Block Calibrators with more features than ever before – with up to three input channels, resolution to 0.001°C, logging, improved performance; Ethernet interface with new software, the list continues. These new blocks with lighter, stronger cases use the latest technology to help users calibrate industrial sensors. The new ADVANCED models sit alongside the earlier BASIC and SITE models allowing users to select the model most suited to their individual needs. The Hyperion 4936 spans the range from -25 to 140°C and can be used in six modes, including Dry Block and Liquid Bath operation. The Jupiter 4852 Dry Block Calibrator covers from 35 to 660°C calibrating PRTs, Thermocouples and other temperature sensors. Optris GmbH has developed the new cooling jacket optris® Cooling Jacket Advanced for use with its infrared cameras and certain infrared thermometers in ambient temperatures of up to 315 °C. The new protective casing of the Extended version also offers the option of installing additional components such as the PI NetBox, the new USB Server Gigabit or the Industrial Process Interface. The modular design makes it easy to fit different devices and lenses. A quick-release chassis enables trouble-free installation and removal on site. The new Cooling Jacket Advanced is available in a Standard and an Extended version. 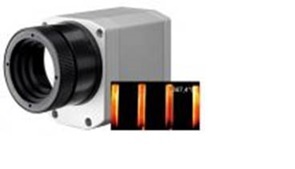 Both versions serve as universal protection in extreme conditions for optris PI series infrared cameras as well as the CTlaser, CSlaser, CTvideo and CSvideo infrared thermometers. In order to withstand ambient temperatures of up to 315 °C, the system is cooled with air or water. The ethernet, USB and sensor cables are generally suitable for use in temperatures up to 180 °C or 250 °C and a cable cooling system for temperatures up to 315 °C is available. An air purge collar is integrated as standard and protective windows can be selected as an option. Both protective casings (IP 65) measure 166 mm in width and 182 mm in height but differ in length: 271 mm (Standard) and 426 mm (Extended). The TEC model T154 is an electronic microprocessor based monitoring unit for the temperature control of MV dry type and cast resin transformers using up to 4 PT 100 Ohm RTD sensors. 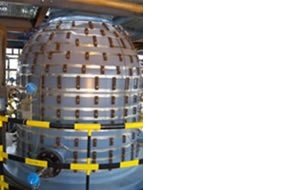 The unit ensures high levels of protection to electromagnetic interferences and ease of use which have made it the standard for this application. It provides temperature monitoring of a 3 phase transformer, and a fourth option for the core or ambient temperature. 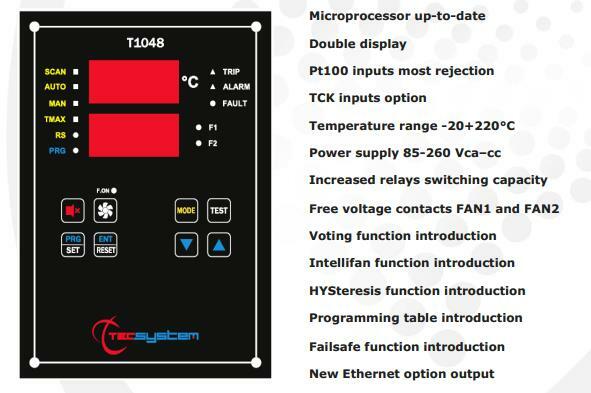 The T154 features Dry contact relay outputs, for ALARM, TRIP, and FAULT signal operation and start ventilation system (FAN). 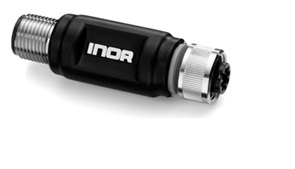 The IPAQ CT20 is an analogue, PC-configurable transmitter for Pt100 sensors. It comes in a robust, IP67 casing with M12 connections in both ends and offers the highest levels of flexibility and reliability. Its compact design and robust casing makes IPAQ CT20 the ideal choice for a wide range of applications, e.g. in OEM/Machine applications or integrated in production and process lines . 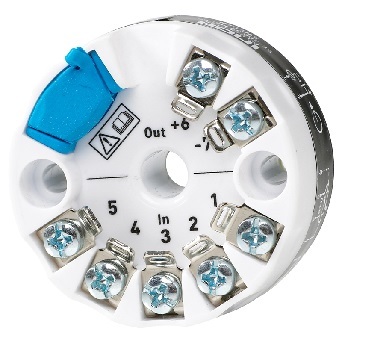 The M12 connectors allows the IPAQ CT20 to be optimally installed based on environmental conditions, physical space and access for maintenance. The material glass requires special equipment for non-contact temperature measurement due to its physical properties. In addition to the special infrared thermometers, Optris GmbH introduced the thermal imaging camera optris® PI 450 G7 to the market at Glasstec 2014. With its 7.9µm filter, the camera is perfectly suited for applications in the glass industry. “Our cameras are highly regarded in the industry due to their compact design and the excellent price-performance ratio,” declared Thomas Ullrich, Sales Director Middle & Eastern Europe at Optris GmbH. With the new G7 model of the PI series, processes in the glass industry can now be regulated by even more highly accurate temperature measurement on glass surfaces. The license-free optris® PI Connect software, which is included in the scope of delivery, has aline scan camera function (line scan mode), which, for example, measures pane temperature during transport of glass panes on conveyor belts. This is a particularly important quality factor for tempering processes, e.g. for ESG and VSG. At an ambient temperature of up to 70 °C, the infrared camera is fully operational without a cooling jacket. With a jacket size of 46x56x90 mm3 and a weight of 320 grams (incl. lens) the optris® PI 450 G7 is particularly suited for applications in confined spaces and for installation in industrial facilities. Due to an imaging frequency of 80 Hz, glass products can be continuously tested, even in fast processing. Temperature Controls are the exclusive Australian Agents for Optris Infrared Thermometers, to find out more contact our sales team. Contact our sales team for more information and an onside demonstration. Temperature Controls will be exhibiting Isotech Calibration equipment at the 2015 Australasian Measurement Conference in Queenstown New Zealand October 14th to 16th along with the New Zealand Agents Instrumatics. During the conference David Southworth from Isotech will be presenting a temperature calibration workshop. Isotech is a world leader in temperature calibration with over 30 years' experience in the design, manufacture and use of temperature calibration standards.